I have recently taken a post as Chief Engineer at a factory which has all Buhler machinery, with wincos control. can anyone offer advice on Buhler for the preventative maintenace scheduals and any other general advice! I'm not to familiar with Buhler equipment other than their from Switzerland. The safest place to start would be with the operations manual. If you don't have them you might check with Buhler and see if they could send you some info. In any milling operation one major player in equipment service life is contamination, it tends to be a very dusty operation. Be sure any seals are kept in good condition to help prevent the intrusion of dirt. 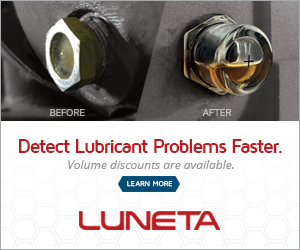 For greased items you might find some added benefit to a automated lubrication system. On vented gear box's or hydraulic sump tanks the addition of a good vent filtration system will help to reduce the intake of contaminates. One thing you can do if you have a good historical log of failures is analyze them. What fails or causes problems the most. Why did it fail and look for a way to prevent these common problems. I'm not saying if it ain't broke don't fix it but the best place to start your effort is to track down recurring problems and a way to prevent them. You will find a challenge with the pelletizing bearings. We were successful applying a grease with high base oil viscosity, perhaps calcium sulfonate and a 460 cSt base oil might work. If you need it to be food grade you might find that grease with a PAO as food grade. perhaps my recommendation will help you more as you mill harder grains like if you are milling soy; then the relubrication intervalls get shorter and the requirement fo lubricant get tougher. Thanks guys for your input, this site is very new its just a year old, but they have no history on any of the equipment, so I have now begun to keep a log, not only for maintenance but also for any new technicians in the future. I have also begun a regular lubrication system, but as my team is still small the mountain to climb is still large! Again thanks for your feed back, any other feedback would be gratefully appreciated for any preventative maintenance techniques! I guess we need to improve this site for this purpose I just ended up in this business if you can send me some info about maintaining the machines and other concerns you have would be great if you started applying any preventive maintenance also. As far as I know, Kluber is in the lube-chart of Buhler presses. If you contact the Kluber sales engineers in your area they should be alble to provide you with professional assistance for the right lubrication procedure. Feel free to email me specific concerns and I will route them appropriately within Buhler.